Here I am in California (LA are for those keeping score) for work since Thursday. We worked over the weekend for out technical deployment and I really need a good drink. I really want copious amounts of Tequila, but I’d settle for a Corona with lime. Good thing there is a liquor store near the hotel! I brought Corona with me in case I had any time to work on it. Well, when my 6:15am flight was cancelled on the way out of Chicago, I magically had some time. I worked on Corona then and part of the way through the flight. At least until I fell asleep in mid-knit. Other than that, I’ve had a few minutes here and there to fix some of the cable pattern I’ve managed to royally screw up. It got me thinking about how I can “read” my stitches. I’m glad now that it’s something I understand because when I was beginner, it was complicated and confusing. Learning to read the stitches is something all beginners should try to learn sooner rather than later. It really helps to figure out where you left off if you happen to nod off while knitting and you can fix any issues without frogging. I think being able to fix issues without frogging is the best part! 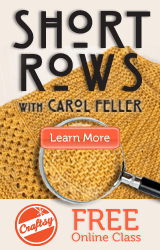 I agree on “knit-reading”. I have finally gotten to the point where I can do it with cables, which I couldn’t always do. Corona looks great so far!